Today I read a prayer from Prayers Over Our Children that contains a powerful line. I read this: You purposely created my children with a need that only You can meet. It reminds me that when I’m restless, unsatisfied, or wondering where my joy has gone, I return to the One who can meet that need. I also love thinking that God designed a longing in us and an unquenchable sense of needing something more to drive us to Him. We’re made with a need only God can meet. Today, I began collecting little joys. Years ago, I joined a community that challenged one another to record five moments like this each day. 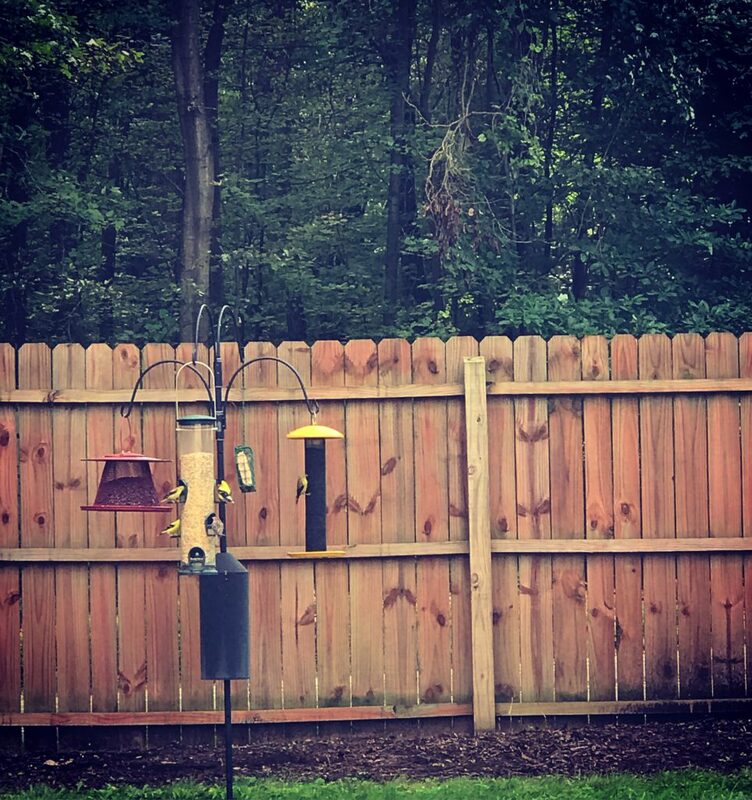 For years, I did this, and I return to the practice today. I found a list a student made of new verbs to use. She’s been writing emails to me where she practices her semicolons and colons. Two students have emailed me personal writing for me to read and comment upon, simply for the love of sharing writing with someone willing to read. So far, I’ve read poems and short essays, and it’s only the second week of class. 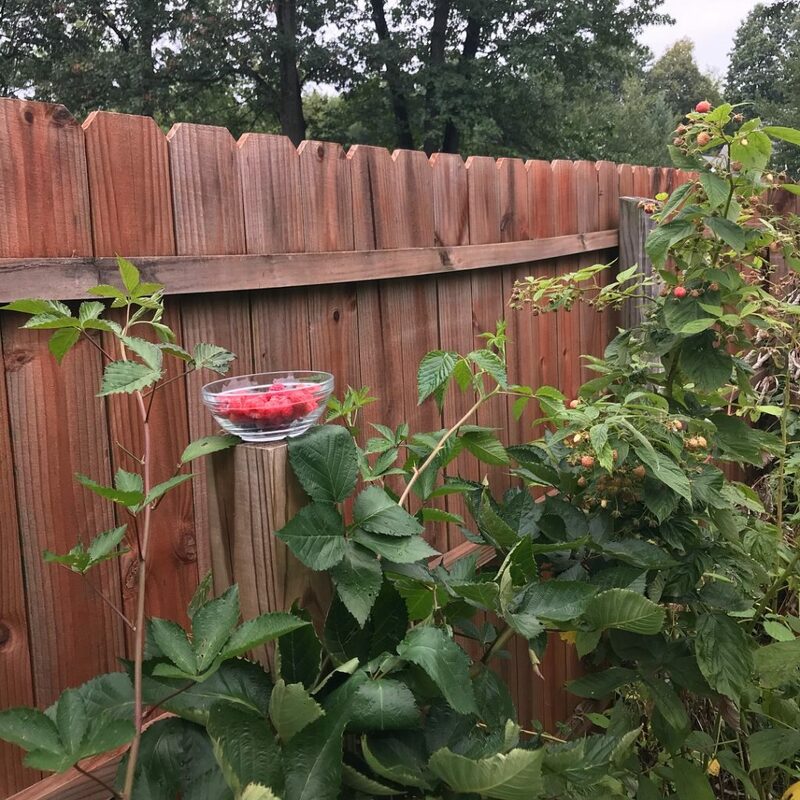 I collect a small bowl of blackberries and raspberries each afternoon. I learned that if the humidity rises above 80%, the likelihood that a migraine will form increases. I’m thankful for information like this that drives me indoors into the cool air conditioning when weather changes. I’m serving chili with butternut squash tonight. I made cornbread that’s already cooling on the stove. There’s this moment when you stand in front of the blackberries, gathering them into your hand, and you smell the sticky sweetness of them, and you burst with a thankful heart. You enjoy the taste even though you’ve heard more bad news than a soul can take: accidents and illnesses and even the death of a friend’s husband. 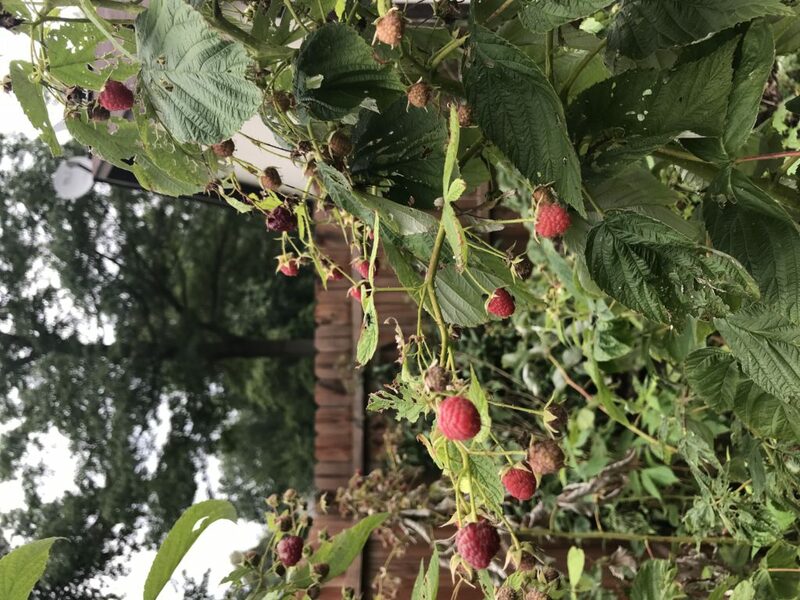 There’s this moment when you pick the second-harvest raspberries–the ones you weren’t expecting–and see your small glass bowl filling up that you realize the goodness of God’s creation and abundant, sweet provision. There’s this moment when you realize that it’s going to be like this: you will have little moments of joy that ripen against a landscape of pain and loss and confusion. You will stand and gather the harvest each new day. And it will be enough to fill your bowl. God answers when we call. The astonishing fact that God responds to us when we cry out to Him makes my heart sing this morning. It’s a great comfort. It’s a miracle of faith. I love that she sees the difference between converted, but not rejoicing, Christians. I love that she asked the Lord to give her the people in the house–meaning that they would come to know Him and be blessed by her. This blessing given out to all in the house brought Frances so much happiness that she couldn’t sleep! And so she renewed her consecration to the Lord and wrote this hymn. I loved that we sang it this morning. Read more about Frances Havergal here. Then I decide I have a good life. 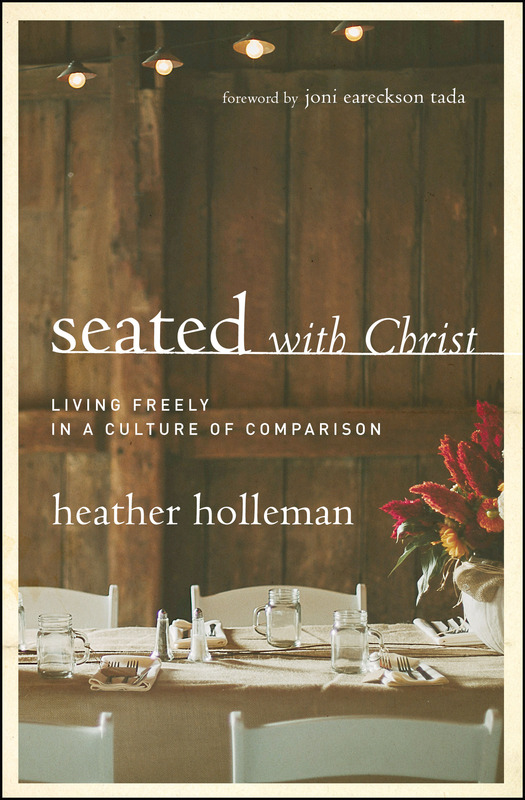 As we prepare for our back to school week, I find myself reminding my daughters–and myself–that we are already seated at the best table with Jesus. 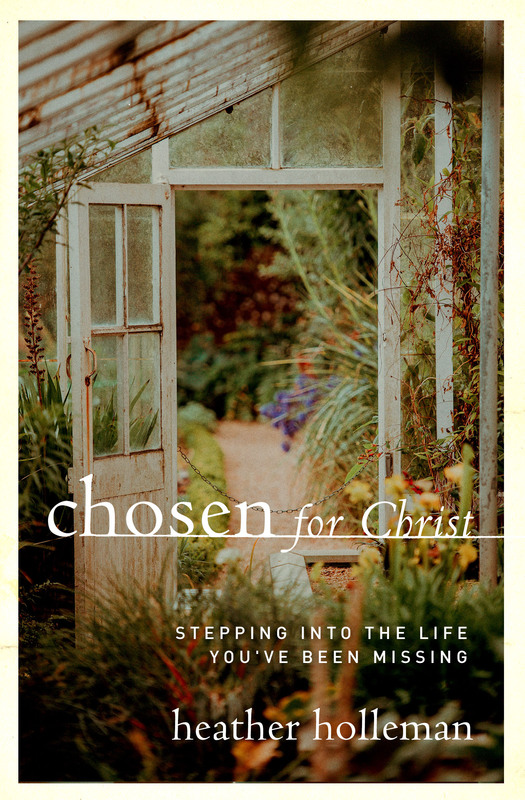 We talk about Ephesians 2 because it’s so easy to compare our lives, live with the kind of envy that “rots the bones” (Proverbs 14:30), and forget that we are exactly where we are supposed to be because we’re here, seated with Christ. 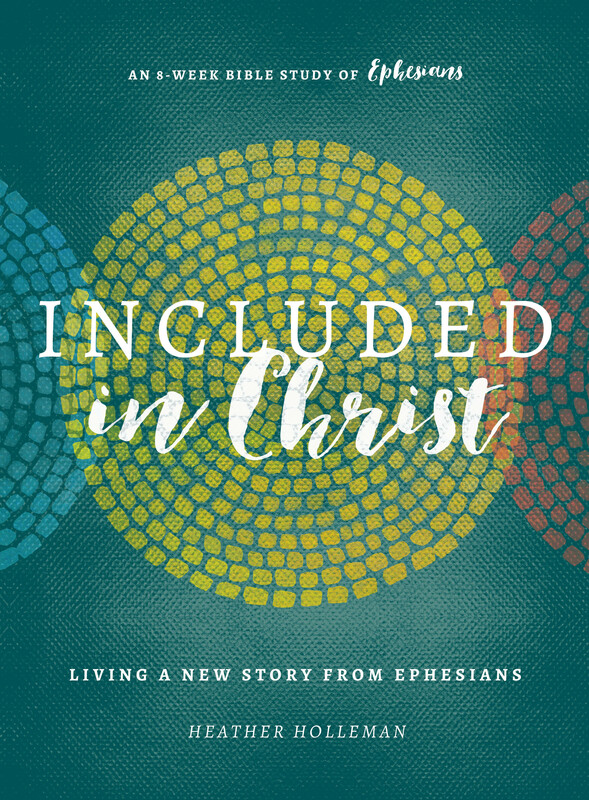 You can invite children to picture their seat with Jesus (Ephesians 2:6) and think about how secure, loved, and included they are. We also talk about our job when we don’t know what to do. Our job is cultivating thankful hearts. It’s worship. Consider 1 Thessalonians 5:18 as a life goal: “Be thankful in all circumstances, for this is God’s will for you in Christ Jesus.” It’s hard to be thankful and also stressed out. It’s hard to be thankful and focused on your problems. It’s hard to be thankful and also jealous. Choosing a thankful heart–and also asking God to give you a thankful heart with deep contentment–gives us a great task for this day. 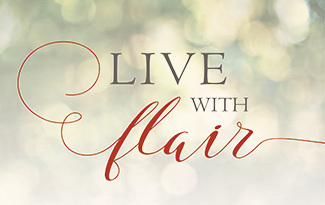 Can you imagine the kind of person you could be if you were thankful in all circumstances because you knew how to see divine activity and experience God’s love all the time? But starting school is stressful. It is scary. I remind my daughters that they are in the fortress of God’s guarding care. I even text my daughter a picture of a beautiful castle to remind her how safe her soul is in the great care of God. He guards us “in all our ways” (Psalm 91:11). If you are a caregiver today, you can remind children that they are seated with Jesus, especially when they walk into that lunchroom and feel alone or nervous. You can also remind children that they have a great task of finding things to thank God for. 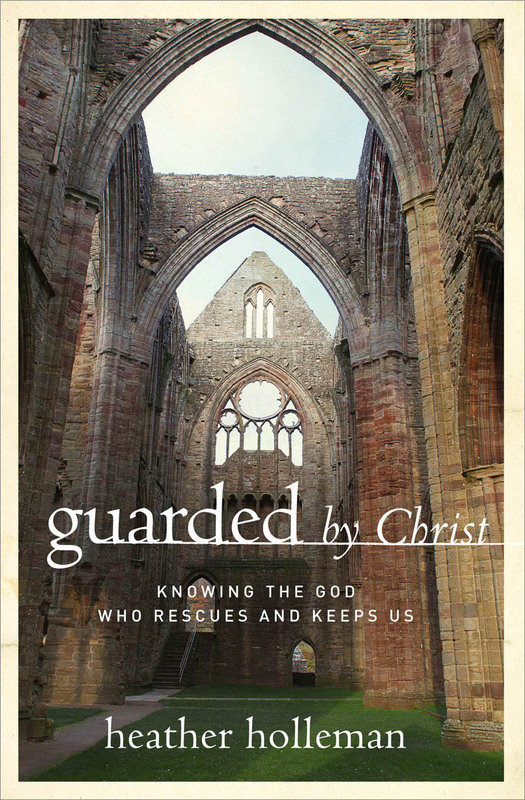 Finally, you can tell them they are guarded by Christ and in the fortress of His care. Seated and guarded. And always, always, thankful. I often cry when I read student writing. I really do! When something strikes me as truly authentic–like I’m finally hearing a real voice in that sentence that comes from some honest, true place–I just know it. And I cry. It’s a joyful thing. It’s a moment of recognition of a soul. But with every assignment and with this confetti of semicolons and verbs tossed up each day, I hope that we’re one step closer to getting the real writing out.